HOT New Coupons For The New Month: Food & Beverage! = $0.20 each starting Sunday at Price Chopper w/ NEW $0.50/5 saving star ecoupon! = FREE + $0.24 profit starting Sunday at Price Chopper w/ NEW $0.75/1 saving star ecoupon! = FREE + $0.24 profit (update: not sure if this will be included in sale, will update)starting Sunday at Price Chopper w/ NEW $0.75/1 saving star ecoupon! 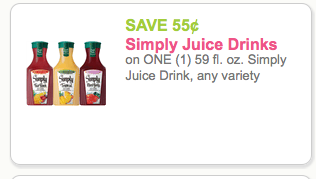 = $0.49 starting Sunday at Price Chopper w/ NEW $0.50/1 saving star ecoupon!